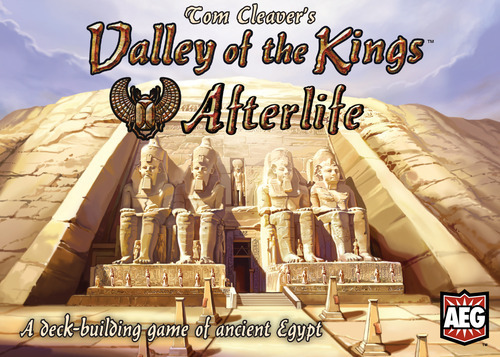 Todd Rowland of AEG did a video at Gen Con 2015 with W. Eric Martin, showing off Valley of the Kings: Afterlife. In describing the game, he called it an “expandalone.” This term was entirely new to me but what a delightful compound word it is–a perfect description for game expansions which can also be played without its core set. 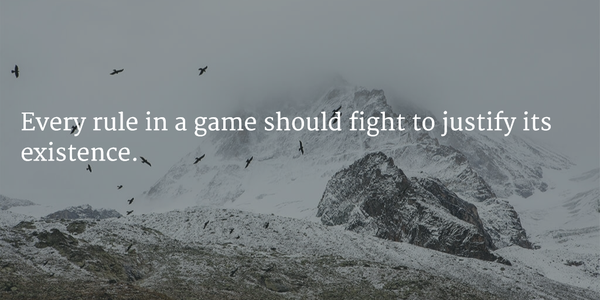 Ava Jarvis and I begin discussing this concept and through this discussion, we came upon a range of ways to build upon an existing game. In the industry, we generally lump all of these ways under the generic term “expansion” but palpable differences exist between the types. Today’s article is an attempt to begin codifying those differences and to assign a term to each. Because they involve no rule changes or new components, reskins are the lightest type. Most reskins are fan projects and there are some great ones out there such as the 8-Bit Mario version of That’s Life. Some are official versions, as in the case of Mike Doyle’s gorgeous Caylus Premium Edition. What about the case in which a designer revisits an earlier work, changes the theme, and also introduces new components or rules? These are the rethemes. A retheme is more than a reskin because it offers new play through new rules or new components. Rethemes are not extensions because they are ready to play out of the box. Rethemes are not expandalones either; they are not cross-compatible with their forebears. Let’s take Reiner Knizia’s Schotten Totten as an an example. In 2008 he rethemed Schotten Totten into a movie tie-in for Chronicles of Narnia: Prince Caspian. Each game stands alone. Each is clearly built on the same engine but they are not cross-compatible. Michael Schacht’s China is similarly a retheme for Schacht’s earlier Web of Power. Another good example of retheming is in the many licensed versions of Risk. Its core mechanism has proven flexible enough to support Star Wars, Doctor Who, and even Plants vs. Zombies. Extensions are small additions to an existing game. This could be a couple of new cards to play, a new character to play, a new treasure to collect, but no fundamentally new ways to play. A single booster pack in a Magic: the Gathering set would be an extension for that set since it extends that set without introducing introducing any mechanisms unique to it. The expansions section of the BGG Store is filled with further examples of extensions. For me to be willing to call something an expansion, it’s got to offer a new way to play the game. There don’t have to be a large number of bits but there needs to be a great deal of play. It is weight of play caused by these changes which makes them expansions, not the weight of the box in which they arrive. 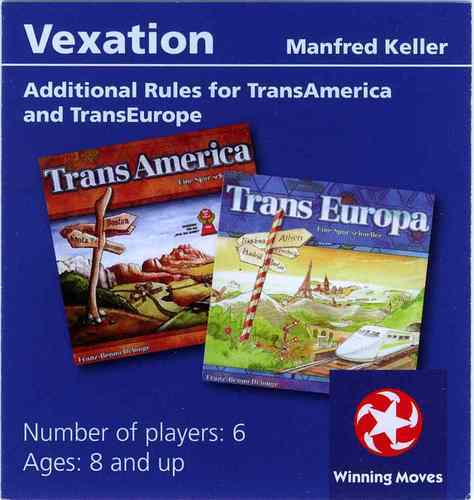 The Vexation expansion for Transamerica/Transeuropa consisted solely of 18 wooden links in player colors and a small set of directions–but what a difference this modest addition made! The first expansion maps for Rolling Freight introduced multiple new mechanisms–canals, caravan routes, and dropping prices. If these were new maps without correspondingly new rules, they would be extensions. And now we return to the beginning of this piece, the awesome expandalone. Like the pop idol on any teenager’s wall, expandalones are what all designers dream of creating. And why not? It is at the same time an expansion of gameplay for experienced players and an introduction for new ones, marketable to fan and neophyte alike. Valley of the Kings Afterlife coined the term for me but other expandalones immediately come to mind; Dominion: Intrigue, Ascension: Dawn of Champions, and any preconstructed theme deck for Magic: the Gathering. Card games utilizing deck construction clearly lend themselves to to the creation of expandalones but the list needn’t end there. The Heroscape Marvel tie-in is a wargame expandalone, for instance. It’s a big world of boardgames. that world is multiplicatively bigger when designers and publishers expand, extend, recycle, and repurpose their games. And this was an attempt to codify these works. What do you think of this spectrum? Would you classify game expansions differently? Did I miss a category? Share with your fellow readers in the comments below. And if you’re enjoying what you’re reading, create an account with WordPress (https://wordpress.com/) and follow this blog. If you keep reading, I’ll keep writing. Hello everyone! Today, rather than taking on any one specific topic, it seems like a nice time to dance around a bit and look at everything that’s passed through recently. Reader Reed Berkowitz took my post on primal games one step further by creating a meme pick to support it. Here’s the picture and you can check out his twitter feed here. Most everyone I know has hit some form of Kickstarter fatigue. Despite that, this week saw two you should definitely check out. I playtested both and found both to be loads of fun. 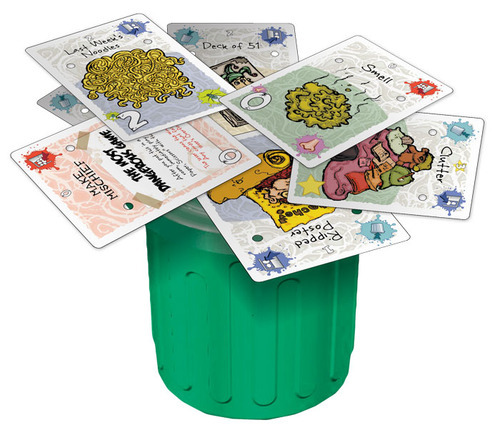 Garbage Day first landed on our game table a few years ago. Shane Willis had a delightful dexterity game and was sure to do well if it could only find a manufacturer that could fabricate its plastic garbage can. He found that manufacturer in Mayday Games. If dexterity games are your thing, be sure to take a look at this one. 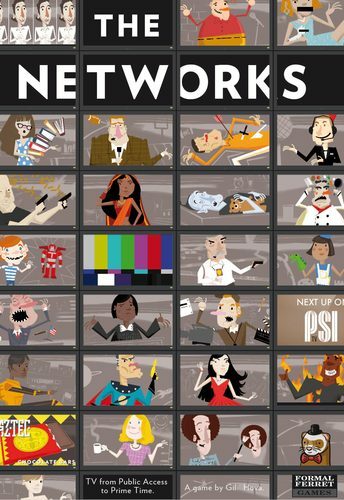 Regular readers know I first saw The Networks about 18 months ago. It was a solid game then and in the interim, Gil Hova only made it better. It’s a hoot! It’s a game by Gil Hova. Is there really anything else to say? Although I knew negotiations were in the works, I had no Idea Barnes & Noble had moved forward. Game Developer and all-around snazzy dude John Eyster spotted duck! duck! 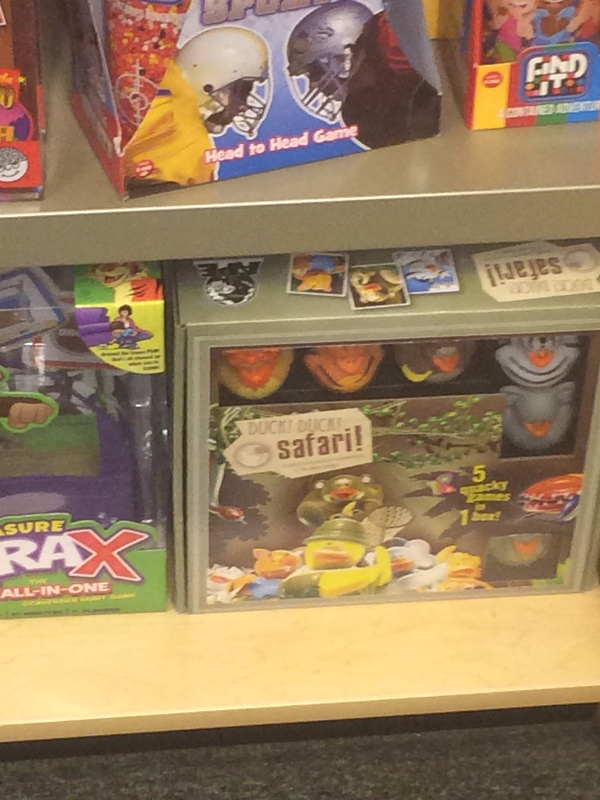 SAFARI! on the shelves and sent this pic by way of proof. How about you? What exciting games have you seen lately? What wonderful tales do you have to tell? Share with your fellow readers in the comments below. And if you’re enjoying what you’re reading, create an account with WordPress and follow this blog. If you keep reading, I’ll keep writing.